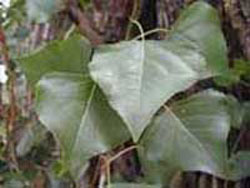 This tree is very fast-growing and has a narrowly columnar shape with upright branches. Diamond-shaped, bright green leaves are borne, with red catkins in mid spring. You will need to plant in deep, moist, well-drained, fertile soil in full sun, it dislike very dry conditions.